The sixth episode of Finding Your Roots with Henry Louis Gates, Jr., investigating the mixed ancestry of Robert Downey, Jr and Maggie Gyllenhaal, aired last night on PBS. These two actors not only share a profession, but both have a mixture of Eastern European Jewish ancestry as well as deep American roots. Because of these commonalities, I thought their stories worked well together. I was thoroughly entertained by this episode for three reasons: 1) I love Robert Downey, Jr., 2) I discovered that Maggie is my cousin through our shared 10th great grandfather John Lothrop and 3) The appearance of Bennett Greenspan, President of Family Tree DNA (or as Professor Gates called it "FamilyTreeDNA.com", which I am sure was much appreciated). Bennett Greenspan on "Finding Your Roots with Henry Louis Gates, Jr."
Unfortunately, the DNA portion was only about five minutes long again this week (starting at 43:00), nevertheless it felt a bit more substantial to me than last time. I was happy to see a number of different tests featured: 23andMe's Ancestry Painting, FTDNA's Population Finder and mtDNA testing. First, Robert Downey, Jr., whose father is half Jewish, was presented with a pie chart of his 23andMe Ancestry Painting, which breaks down a person's genetic ancestral origins into three populations - European, African and Asian. (Note - this test is included in the 23andMe Personal Genome Service and is presented as a chromosomal chart rather than a pie chart.) Dr. Gates has repeatedly stated that this test reveals "European, African and Native American ancestry", however I would like to remind readers that the Asian reference population simply "stands in" for Native American. 23andMe does this because the genetic makeup of the two populations is similar, but in reality, this is not quite the same as having reference samples from Native Americans and the two should not be confused with each other. For instance, a person could show Asian DNA on their Ancestry Painting, but one should not automatically reach the conclusion that they have Native American ancestry because they may have ancestors from China, Japan, Korea or any other Asian region. If a person has reason to suspect that they possess Native American ancestors and knows of no other Asian ancestry, then this test is useful for that purpose. As is typical of most people, RDJ guessed that his ancestry would be more "interesting" than it was and seemed disappointed to learn that his Ancestry Painting showed 100% European ancestry. As I have mentioned before, this actually encompasses all of Europe, including the Middle East, so it doesn't rule out RDJ's Jewish ancestry. Next, Dr. Gates presented RDJ with what I believe was his Population Finder admixture from Family Tree DNA. (The PopFinder feature is included with the Family Finder test.) This test broke down RDJ's ancestral origins a bit more, showing that he is about 20% Middle Eastern or Jewish. That is slightly under what we might expect for him with a father who is half Jewish, so his one Jewish grandparent may have had a little something else mixed into his/her ancestral origins. Later, Dr. Gates sat down with Maggie to discuss her mitochondrial DNA (mtDNA) which is inherited straight down the maternal line, passed from mother to child as far back "as you can think" enthused Maggie. Maggie's mom is Jewish, so it makes perfect sense that Maggie's mtDNA has been inherited from one of four Jewish founding mothers who lived thousands of years ago. The voiceover explained, "Scientists have concluded that 40% of Eastern European Jews share genetic lineages that reach back two to three thousand years, remarkably to just four women...today about 3.5 million people descend from one of these four maternal ancestors." Haplogroup Project Administrator and genetic genealogist Vince Tilroe points out that Bennett Greenspan and Professor Gates were most likely speaking of mtDNA Haplogroups K1a1b1a, K1a9, K2a2a, and N1b when referring to the four Jewish maternal lines. These were identified in the 2006 study by Dr. Behar, "The Matrilineal Ancestry of Ashkenazi Jewry: Portrait of a Recent Founder Event". At the end of the episode Professor Gates discussed the question of "nature versus nurture" with his guests and asked Robert Downey, Jr. if he feels that his ancestral past has shaped who he is today. In answer, RDJ insightfully commented, "I don't see how it couldn't...it's informing you whether you're conscious of it or not, so probably better to be conscious." The episode ended with RDJ expressing his feelings about this experience with Dr. Gates, explaining that he felt that this was just the beginning of his journey of self-discovery. I hope this show has also inspired all of you to begin (or continue) the journey into your ancestral roots. See you next week when we review the genetics of Samuel Jackson, Condoleezza Rice and Ruth Simmons. The television listing says that the show will be using DNA to "determine which parts of Africa their ancestors came from." That sounds promising! If you haven’t heard it is again DNA Day tomorrow and Family Tree DNA felt that was good enough to have a short two day sale. Well, it is nice to see that at least one company is keeping up the tradition! Well done, FTDNA! **These tests must be ordered through a Project. Search for your surname or a relevant geographic region to join one. If you can't find one that you can join, please send me an email at yourgeneticgenealogist@gmail.com and I will assist you. 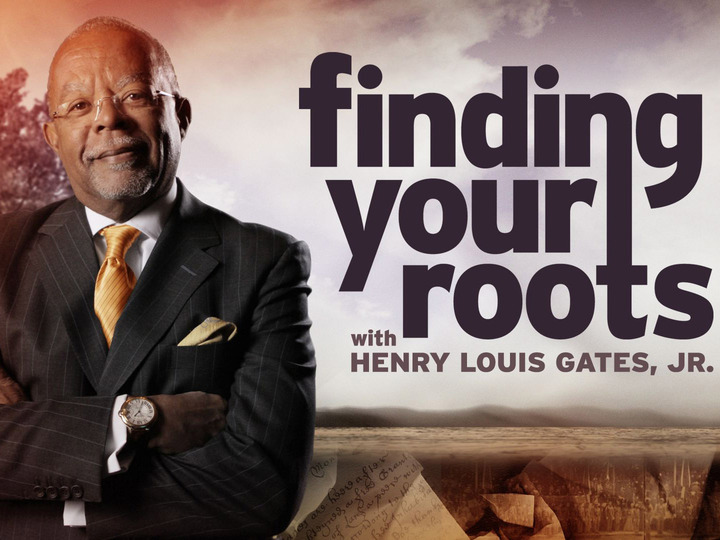 The fifth episode of Finding Your Roots with Henry Louis Gates Jr., which featured religious leaders Rick Warren, Angela Buchdahl and Yasir Qadhi, aired last night on PBS. This means we are halfway through the miniseries! As we have progressed through the episodes it appears to me that Gates and his team are featuring DNA testing progressively less and less. This is a shame and I hope this trend will reverse itself in the second half of the season. The DNA portion of the show last night comprised only about 5 minutes (starting at 44:55), but drew some interesting genetic comparisons between guests of different religious backgrounds, demonstrating again that DNA testing is "deconstructing the notion of race" (quote from Gates in an earlier episode). Qadhi's Y-DNA haplogroup or what Gates referred to as his "paternal haplogroup" which was inherited from his father's father's father, etc... is J2. This haplogroup is common among those with Indian ancestry like Qadhi, but also "reaches levels of about 20% in Ashkenazi Jews". Qadhi said that he didn't find this too surprising since "Muslims and Jews consider themselves cousins...(as) descendants of Abraham." Less surprising, Rabbi Buchdahl is also a distant cousin to Barbara Walters. Gates said that Buchdahl and Walters share a common ancestor within about the last 300 years. He mentioned "three segments" in common between them. This test was clearly an autosomal DNA test by 23andMe or Family Tree DNA's Family Finder. Normally three matching segments of DNA would imply a significantly closer relationship than distant cousins, but among the highly endogamous Ashkenazi Jewish population, this is not uncommon. I was pleased to see Gates team incorporating all three types of DNA used for genealogy in this segment. In the voiceover starting at 46:15, Gates explains, "DNA Analysis can tell us...where our earliest ancestors originated thousands of years ago, to whom we might be related today and the percentages of our African, European and Asian ancestry over the past 500 years." I thought that this may have caught some viewers' interest, so I wanted to detail which tests he was referring to in that comment. The first part of the quote - "where our earliest ancestors originated thousands of years ago" - refers to deep ancestry that is revealed through our Y-DNA and mtDNA haplogroups, tracing the migration of mankind. You can learn your haplogroups from 23andMe's DNA test or by taking the Y-DNA STR test and/or the mtDNA test at FTDNA. Next, "to whom we might be related today" refers to autosomal DNA tests that match you with cousins from your more recent ancestry by examining matching blocks of DNA between testers. These types of autosomal tests are currently only offered by 23andMe and FTDNA. 23andMe's "Relative Finder" feature is included in their single test and FTDNA's test for this purpose is called "Family Finder". Lastly, "the percentages of our African, European and Asian ancestry over the past 500 years" refers to biogeographical ancestry analysis or admixture tools like 23andMe's Ancestry Painting or FTDNA's Population Finder. In this case, he was specifically referring to 23andMe's Ancestry Painting. This is the most basic of genetic ancestral origin tools only using the three populations mentioned. FTDNA's Population Finder breaks down genetic origins into more granular populations and 23andMe's Ancestry Finder feature does so as well, with a somewhat different approach. Earlier episodes have shown the pie chart with the guests' ancestral origins or genetic admixture by percentages. In this episode, we caught a glimpse of Pastor Rick Warren's dark blue chart, signifying 100% European. While he and Gates laughed at this result, it isn't necessarily as boring as it might sound since, in this case, "European" encompasses ancestry from all over Europe including Russia, France, Germany, Finland, the British Isles, the Middle East, Scandinavia and many other countries. It would have been interesting to see all of the guests' Ancestry Paintings in this episode because there would have been much commonality between them. As a person of Indian heritage, Qadhi would have likely possessed a large European component and a smaller Asian one and Buchdahl's chart, being half Jewish and half Korean, would have probably been equally split between Asian and European. (Upon further review of the episode, it appears that I was correct - see below.) The specific differences between the Asian and European ancestry among the guests would only be revealed with a more detailed breakdown, such as FTDNA's Population Finder or 23andMe's Ancestry Finder. Angela Buchdahl looking at her "Ancestry Painting"
Last night PBS aired the fourth episode of Finding Your Roots with Henry Louis Gates Jr. which featured husband and wife Kyra Sedgwick and Kevin Bacon. The episode concentrated on exploring the couple's deep American roots, stretching back to the early days of the Colonies. Unfortunately, there was very little genetic genealogy in this episode. At the very end, Dr. Gates presented Kyra with her DNA results explaining, "Using traditional genealogy, we were able to trace her father's line back hundreds of years...but using DNA Analysis we were able to go even deeper into her past on her mother's line establishing her Jewish ancestry genetically." First Dr. Gates showed Kyra a chart. In editing they inserted a shot of a chart illustrating the path of Y-Chromosome DNA which is passed down from father to son. Since she is a woman and they were discussing her mother's side, I believe that they were actually analyzing her mitochondrial DNA haplogroup which is passed from mother to child. The voiceover said that they were looking deep into the past of her mother's line, so she likely has a mtDNA haplogroup that is associated with Ashkenazi Jews. Then they looked at a chart from 23andMe's Ancestry Finder and Dr. Gates explained, "Here's a graph of your 23 chromosomes and what it says is that 50% of all of your genetic material that they examined traces back to Ashkenazi Jews." Note that he adds the qualifier "that they examined". This is because the Ancestry Finder feature only reaches conclusions about the portions of your DNA that have people who match it in their system, so most people do not have 100 percent coverage on this tool. Ancestry Finder is based on the answers that your DNA matches provide on the 23andMe survey "Where Are You From?" and, therefore, bases its analysis on the stated birth places of your matches' grandparents. (For more information on this feature, please see the post that I wrote about Ancestry Finder when it was first introduced.) The Ancestry Finder feature allows a user to click a box to see which of their matches have self-identified their grandparents as Ashkenazi Jews. For Kyra, this was apparently the case with approximately 50% of her total matches on Ancestry Finder. Instead of showing a screenshot of the graph of her "23 Chromosomes" which would have illustrated this result, they showed an image of her Ancestry Finder list of matching populations (seen below). This list of matching populations identified by Ancestry Finder also supports Dr. Gates' team's conclusion that Kyra has substantial Ashkenazi Jewish ancestry since the ones at the top of the list are typical in my experience for those with Jewish ancestry. Kyra Sedgwick's 23andMe Ancestry Finder from "Finding Your Roots"
At the end of the episode, Dr. Gates revealed to Kyra that her fear of being cousins with her husband Kevin Bacon was confirmed and that she and Kevin are 9th cousins once removed. Although fun for entertainment purposes, in the context of genetics, this is pretty meaningless since chances are that neither of them has any genetic material remaining from their shared ancestor(s). If they were to both test their autosomal DNA at 23andMe or with Family Tree DNA's Family Finder, they would likely not find any significant common DNA between them (unless they have closer yet unidentified shared ancestors). Since Dr. Gates team likely did test them both at, at least, 23andMe, I suspect my assumption is correct. This is because with each successive generation of random autosomal DNA inheritance, the contribution of each ancestor gets broken into smaller and smaller pieces and the majority of our ancestors have "fallen off of our genetic family tree" by the time you reach back past a couple hundred years. (Blaine Bettinger of "The Genetic Genelaogist"explains this concept here.) That is why autosomal DNA tests for genealogy like 23andMe and FTDNA's Family Finder work best for researching more recent ancestry. I am looking forward to next week's episode with Rick Warren, Angela Buchdahl, and Yasir Qadhi and hope to see more integration of genetic genealogy. In the preview, I caught a glimpse of my friend, 23andMe's geneticist Mike Macpherson (one of the creators of Ancestry Finder). I can't wait to see his appearance on the show! 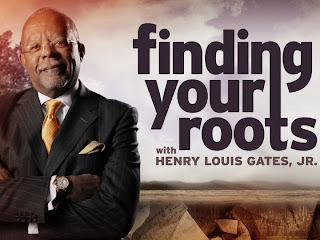 Last night PBS aired the third episode of Finding Your Roots with Henry Louis Gates Jr. which featured journalist Barbara Walters and educator Geoffrey Canada. The episode revolved around investigating the guests' paternal roots by tackling the challenges of discovering the original surnames of their fathers' ancestral lines. Geoffrey's was obscured mostly due to his extremely limited knowledge of his father's family. Although Barbara had previously had her family tree researched, her immigrant ancestor's name change had not been discovered. After discovering that Geoffrey Canada's paternal line was descended from Thomas Cannaday, a slave owned by a Charles Cannaday of Franklin County, Virginia, Geoffrey's Y-Chromosome DNA was analyzed to determine if his great-great grandfather Thomas may have been fathered by his slave owner. Not surprisingly, Canada does possess a European Y-Chromosome Haplogroup. In fact, he apparently shares his haplogroup with Kevin Bacon, Robert Downey, Jr. and Harry Connick Jr. Since the majority of men in the Bacon DNA Project, the Downey DNA Project and the sole man in the Conrick DNA Project (possibly a variant of Connick) possess the R1b1a2 Y-Haplogroup (the most common in Europe), it is likely that Geoffrey's Y-DNA Haplogroup is also R1b1a2. This piece of information is not enough to solve the puzzle though, since there is no way to know for sure when that European ancestor entered Geoffrey's direct paternal line, so Dr. Gates' team identified two great grandchildren of Charles Cannaday and asked them to take an autosomal DNA test to determine if their great grandfather is the same man as Geoffrey's 3rd great grandfather. If the working theory was correct, that would mean that these Cannaday descendants are Geoffrey's 2nd cousins twice removed and would be expected to share about .781% of their DNA (the same amount as third cousins). In this case, there is a chance that the autosomal test could be ineffective due to the fact that only about 90% of third cousins have enough shared DNA to be detected by this kind of test. Although it would certainly be worth a shot, this scenario could be stretching the capabilities of autosomal DNA testing just a bit. Even if they were to have a small amount of shared DNA, without extensive testing of other descendants, it might be difficult to say with certainty that the DNA came from this potential shared ancestor rather than another, especially since we know both families' ancestors lived in the same geographical area. In my opinion, a Y-STR DNA test on Charles Cannaday's direct paternal descendants (or his father's, uncle's or brothers' direct paternal descendants) would be more conclusive because it would determine if Geoffrey is carrying a Cannaday Y-Chromosome or not. Unfortunately, the theory did not get to be tested anyway because, in the end, both of the Cannaday descendants identified by Gates' team declined to participate in DNA testing. Dr. Gates, with deadlines looming, was probably forced to leave the question unresolved for now. Many of us genetic genealogists know how it feels to track down the perfect candidate to test out a genealogical theory, only to find that the person identified is unwilling to take a DNA test. It is always disappointing, but given the luxury of time, perhaps his team wouldn't have stopped there. Since the local Cannaday researcher said that she had 3200 Cannadays in her database and that it was still a very common name in the area, the team could have either looked for descendants of Charles Cannaday's father or asked his great great grandchildren to test. (I have found the younger generations are often more willing.) In either case, the potential relationship to Geoffrey would have been one more step removed, thus decreasing the chances of a match even further, but still worth investigating. Obsessive genetic genealogist that I am, I just couldn't let the Y-STR idea go, so I searched for a Canada/Cannaday DNA Project to try to determine if there were any Cannadays already tested, against whom Geoffrey's Y-STRs could be compared. I was initially surprised to find that no project of this name exists, however I did find a Kennedy DNA Project that lists variants Canaday and Canady. Upon further investigation, I found that there are 15 Canadas, 12 Canadys, six Cannadys, seven Canadays and one Cannaday who have tested at Family Tree DNA (they may not all have taken a Y-STR test). If you look at the Kennedy DNA Project's Results Page, you will find some of them there. There are seven participants of interest - four named Cannady, one Canady, one Canaday and one Canada. Six of these seven fall into the haplogroup R1b1a2. (The one who does not is identified as being descended from a Charles Canaday, but there is no information supplied as to birth or location.) It may be that none of these are directly descended from the direct paternal line of Charles Cannaday of Franklin County, Virginia, but just for kicks, it would be interesting to see if Geoffrey's Y-STRs match any of these participants. I wonder if Dr. Gates' team investigated this avenue. Like last week, geneticist Joanna Mountain from 23andMe appeared on the episode - this time to explain the Y-DNA analysis. Interestingly, in this segment there appears to be two spots where there are inaccuracies in regard to this DNA test. The first one occurs starting at 41:15 when Dr. Gates asked Dr. Mountain, "So a Y-DNA analysis, in other words, is what people in the barber shop talk about the paternity test?" and she (appears to have) answered, "It sure is." The exchange seems awkward and I believe this mistake was made in editing. I am sure that Dr. Mountain would never imply that a Y-DNA test is the same thing as a paternity test since it unquestionably is not. (I think what happened is that her comment was not actually in response to that questions, but was pasted in from another part of the segment.) A traditional paternity test is based on autosomal STRs markers, like CODIS . While it's true that a Y-DNA test could informally be used as such, in reality it cannot tell us if two people are father and son, only that they come from the same direct paternal line. (They could actually be brothers, uncle/nephew, first cousins, second cousins, etc...) The second mistake was probably merely a slip of the tongue on the part of Dr. Gates, but still worth clarifying since genetic genealogy is so new to many of the viewers. Starting at 43:35, Dr Gates explained what the results of this Y-DNA test mean for Geoffrey, "We do know without a shadow of a doubt that a white man fathered your female slave ancestor [bold mine] and entered your family line." I'm sure he meant to say "impregnated your female slave ancestor" since it was actually Geoffrey's male ancestor that was fathered by a white man. We know this because the Y-DNA only follows the direct paternal line. By definition, women cannot be introduced into this line because they do not inherit a Y-Chromosome. I don't mean to call anyone out on these mistakes, but I do think it is important to explain and clarify in an effort not to confuse any viewers new to the concept of genetic genealogy. The next time DNA was mentioned in the episode was when Dr. Gates asked Barbara what percentage of her DNA she thought was of Jewish origin and she guessed 99.9%. An admixture test, which appeared to be FTDNA's Population Finder (included with the Family Finder test) revealed that she is actually ~91% Middle Eastern (Jewish) and ~9% European (non-Jewish). Dr. Gates noted that this exercise with Barbara illustrated that DNA analysis is revealing that "our family trees are more diverse than we had assumed." This concept is proving true for African Americans as well. "In the African American community, genetic evidence of our rainbow-colored roots is challenging long-held assumptions about what it means to be black," Dr. Gates explained. To illustrate this, reminiscent of last week's scene in the barber shop, Dr. Gates asked several students from Geoffrey's school to estimate how much of their DNA is African, European and Native American. After swabbing their cheeks, the students were surprised to find from their admixture tests (which appeared to be from 23andMe) that their ancestry was more diverse than they first imagined. After learning that a portion of her DNA was European one student said, "I didn't know that I was European.. now I don't consider myself just black." Gates emphasized that these tests "deconstruct the notion of race" and reveal that "we are all mixed up". I'm very pleased that DNA was again a vital component of this episode, but a little disappointed that they weren't able to use it more conclusively to determine Geoffrey's paternal ancestry. I guess that is realistic though and better than implying that genetic genealogy is always easy. By the way, can you believe Barbara Walters is 82?! She must have some pretty darn good DNA! I thought it was kind of funny that her family's original surname Waremwasser sounded an awful lot like Gilda Radner's Baba Wawa. I look forward to next week's episode with Kevin Bacon and Kyra Sedgwick. I hope they perform autosomal DNA tests on the couple to see if Kyra's fear is true and they are indeed "kissing cousins". See you then!